One of the more unique runs anywhere! 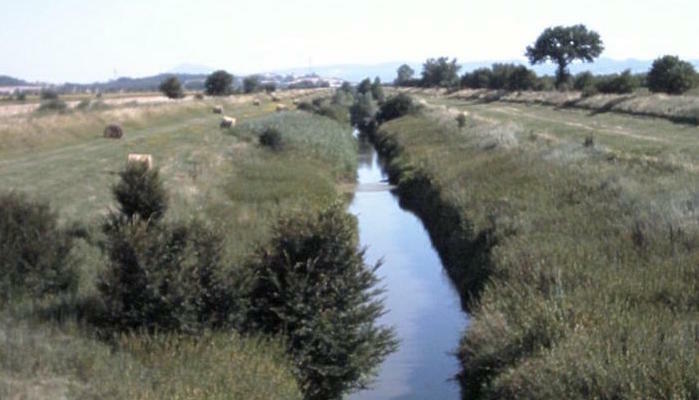 This ancient trail and maintenance path along the Canale Maestro della Chiana is primarily used by cyclists to travel between Arezzo, Siena, and Umbria. However, runners can take on a portion of the 62 km path for a nice flat tour of this region’s fruit and farmlands. There are multiple surface types and access points along the way, and the path connects easily to the railroad if you prefer to run a leg of it one-way. This link has detailed information about the route. Of course, you can jump on this trail at any other point along the route, if you’d like to enjoy one of the better long and flat options for running in Tuscany along roads of cheese and fruit, oil and wine.